Rystad Energy has announced the winners of the Gullkronen 2019 awards. The Gullkronen awards are a yearly prize ceremony organized by Rystad Energy to recognize companies, teams or people who have shown outstanding achievements on the NCS during the previous year. During the award ceremony, the four E&P Awards were given out as follows: Explorer of the Year: OMV Norge, Business Developer of the Year: Vår Energi, Project Developer of the Year: Equinor (Oseberg WF) and Field Operator of the Year: Equinor (Snorre). OMV was recognized as Explorer of the Year for the discovery of Iris/Hades a commercial, new gas field in the Norwegian Sea, representing one-third of the discovered resources in 2018 (read also “500mmboe in 2018”). Long and dedicated G&G studies since 2012 paid off in 2018 with a result that is everything but “the discovery from hell” according to the jury. The Business Developer award went to Vår Energi. The jury reasoned that the winner has shown remarkable portfolio management, building a complementary asset portfolio that increases reserves, provides a stable base of producing assets to fund developments and generates dividends going forward. With strong growth ambitions and a diverse portfolio, the winner will be a significant player on the NCS going forward. Vår Energi is the result of the merger of Point Resources and Eni Norge in late 2018 and has ambitions to become the largest independent E&P company across the Norwegian continental shelf. Equinor won 2 awards as the best Project Developer of 2018 with the first fully automatic and remotely-operated unmanned platform at the Oseberg field and Field Operator of the Year at Snorre. The prestigious Honour Award was handed over to Kjell Inge Røkke and Øyvind Eriksen for their long-standing contributions in building up a Norwegian oil industry. 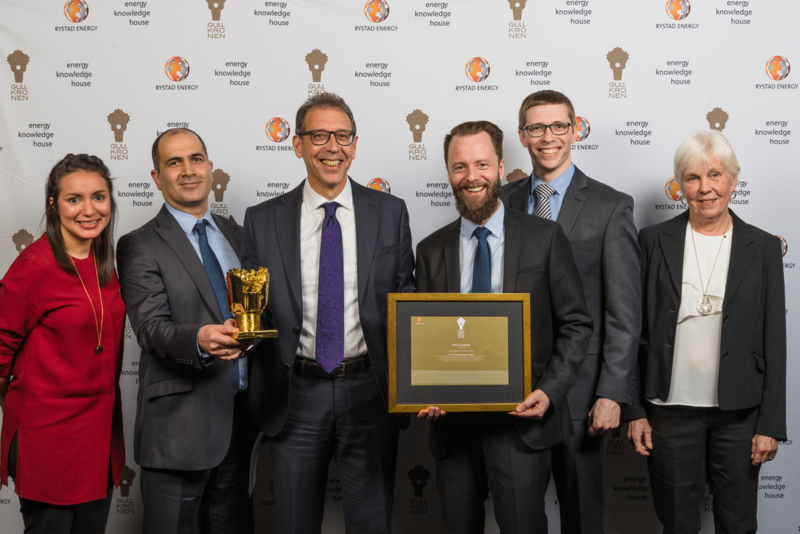 They were awarded for creating Aker BP as a leading operator in Norway and world class innovative E&P company and creating Aker Solutions as a leading global oil service player. The award also honours that both created thousands of jobs in the oil sector.